They say time heals all wounds and 13 years after parting ways with the then world No. 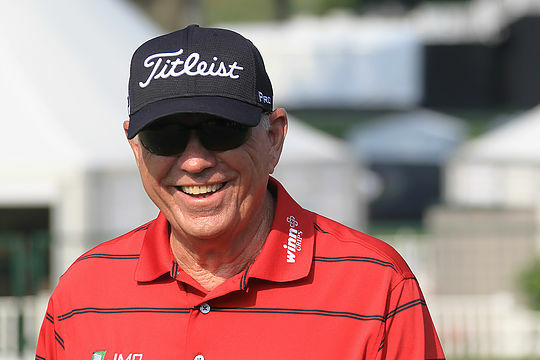 1 Tiger Woods’ former coach Butch Harmon has suggested he could now help him out. After starting work with Harmon in 1996, Woods won his first major in 1997 and went on to win eight majors while the pair were working together. Now Woods has plummeted to No 75 in the world, has taken a break from tournament play and admitted he wouldn’t be returning to golf until he felt he could be competitive again. And after watching him fall from grace over the past couple of years, Harmon has actually volunteered to help out, if he was asked, and said he would be delighted to spend a couple of hours with the 14-time major champion and take a look at his swing. Although Harmon also stipulated he felt Woods would probably be too proud to consult him. “If he wanted, I’d be more than happy to spend a few hours and give him my opinion,” Harmon said. “If I was him, I wouldn’t play until I was healthy,” Harmon said.